This bracelet makes a bold statement with a lightweight feel. Wide cuff with hammered silver lines in chevron design give this bracelet a southwest look. 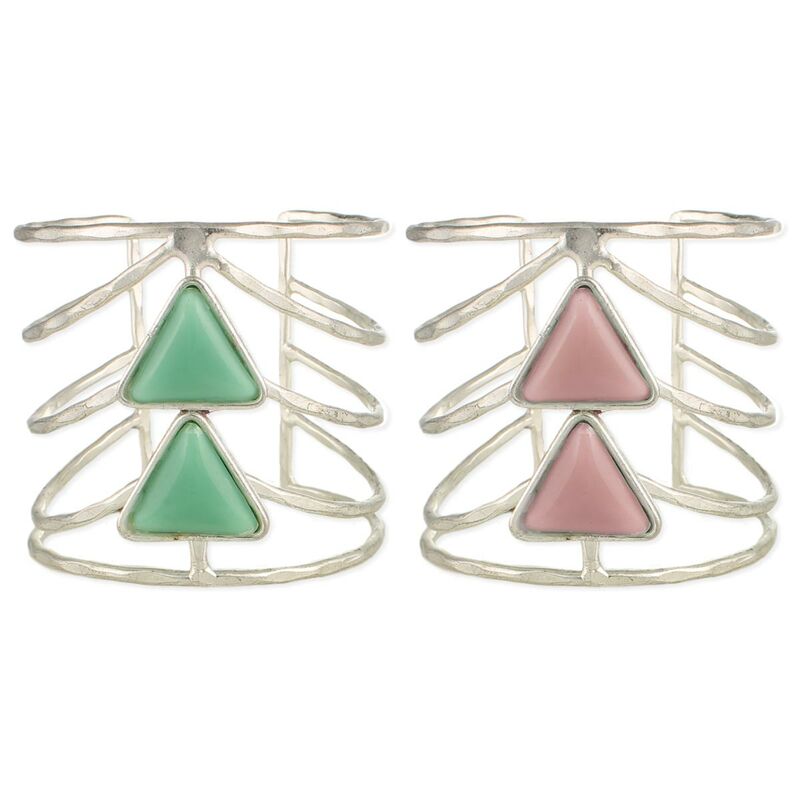 Two stacked triangle glass beads in the center add color to this wide silver cuff bracelet.